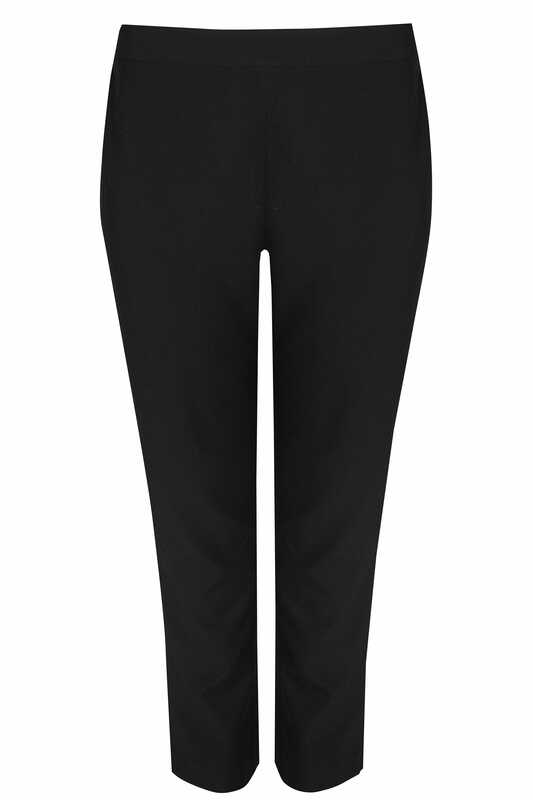 Inner leg length from (approx): 72cm/28"
Update your workwear wardrobe with this sleek pair of tapered trousers. Woven from a comfortable stretch fabric with an elasticated waistband, they are an ultra-comfortable staple for your smart wardrobe. For a trendy office look, match them with a simple shirt and a pair of black mules. 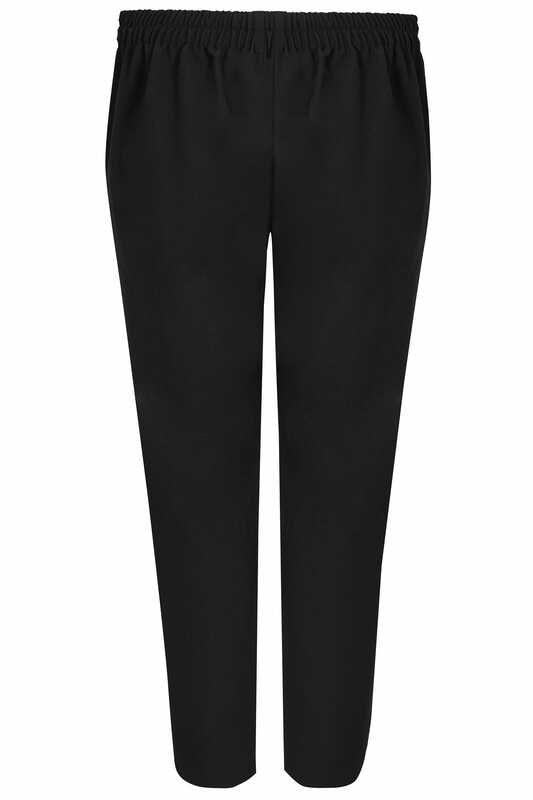 The classic workwear staple, the black trouser can be styled in so many ways.